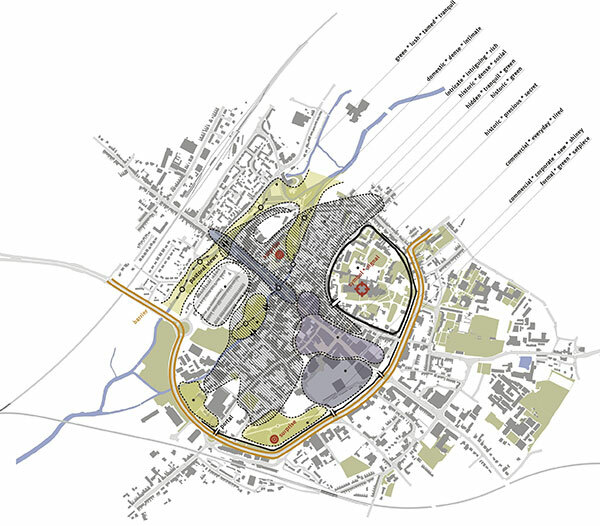 Canterbury City Council commissioned yellow book and WMUD to carry out a concept study of the proposed creative and cultural quarter (CCQ) in Canterbury. The city is one of Britain’s most famous and important places, a powerful symbol of Englishness and spirituality, rich in historic and literary associations. The brief identified the opportunity to use the prospective CCQ to drive the renaissance of an area in the historic heart of Canterbury. Although the brief stressed that the CCQ did not have fixed boundaries, a study area was identified, centred on the High Street – St Peter’s Street – St Dunstan’s Street axis, and comprising much of the west side of the medieval walled city. This area encompasses many of the city’s most important cultural assets including the New Marlowe Theatre, the Beaney Institute, the Sidney Cooper Gallery, Canterbury Environment Centre, the Westgate, Tower House and the Guildhall. In addition, this area is home to a number of private galleries, independent retailers, cafes, restaurants and bars. Much of the cultural life of the city already focuses on the study area, and the brief also notes that the network of historic streets “provides an excellent canvas on which to develop…ideas for the quarter and provide an urban space unrivalled in this part of the south-east”. Theme 1: Creative and cultural industries: a package of measures designed to enhance the quality and appeal of Canterbury culture, and to promote the growth of the creative industries. 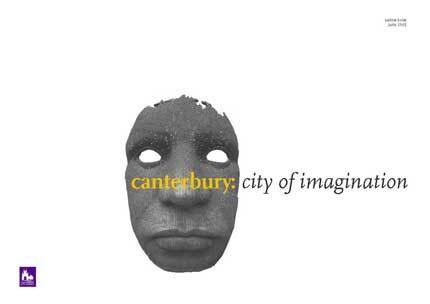 Theme 4: The Canterbury experience: priority actions to improve aspects of the Canterbury experience for local people and visitors, including an innovative place marketing campaign.